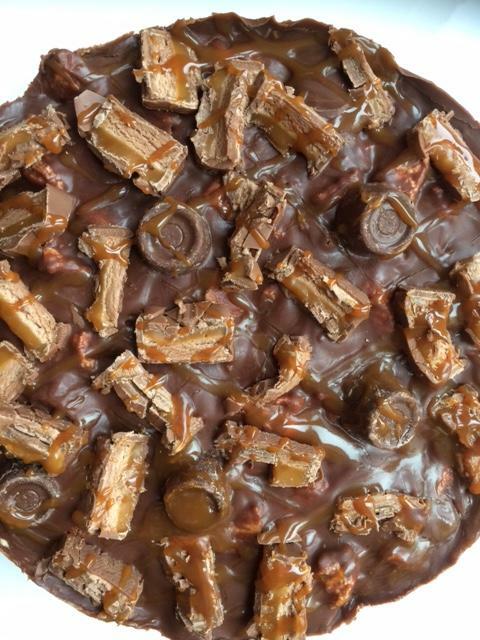 Gooey, sticky and just perfect for celebrations that want a sweet chocolate, caramel delight. 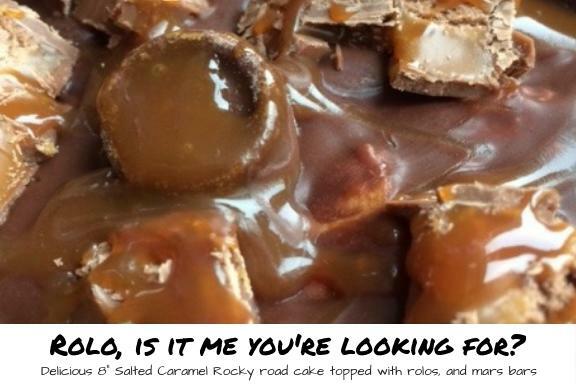 Yummy chocolate covering biscuits, hand-made vanilla and chocolate marshmallows, mars bars and rolos, all covered in a delicious salted caramel sauce. Milk Chocolate, Dark Chocolate, Butter, Golden Syrup, Vanilla and Chocolate Marshmallows, Biscuits, Mars bars, Rolos and Salted Caramel Sauce.